This bike was "grown" through a process of grafting bamboo. Photo via James Dyson Award. Alexander Vittouris from Monash University grew a bamboo bicycle by intervening with the plant’s growth process through a technique called “arborsculpture.” Using a hard skeletal mold, Vittouris forced the natural growth of the bamboo into the shape of a bicycle frame. The “Ajiro” bicycle is truly a “green” transport vehicle and won a James Dyson Award for its design. This isn’t the first time bamboo has been used as a material in bicycle production. The difference in bamboo’s previous uses is the production method. Prior to arborsculpture, individual pieces of bamboo were heat-treated and bound together using fiber. Bamboo’s durability and rapid growth makes it an ideal material to use in bicycle production. In fact, the possibilities of bamboo have led scientists and engineers at The Earth Institute of Columbia University to start the Bamboo Bike Project, an effort to examine the feasibility of implementing bamboo bicycles as a sustainable form of transportation in Africa. 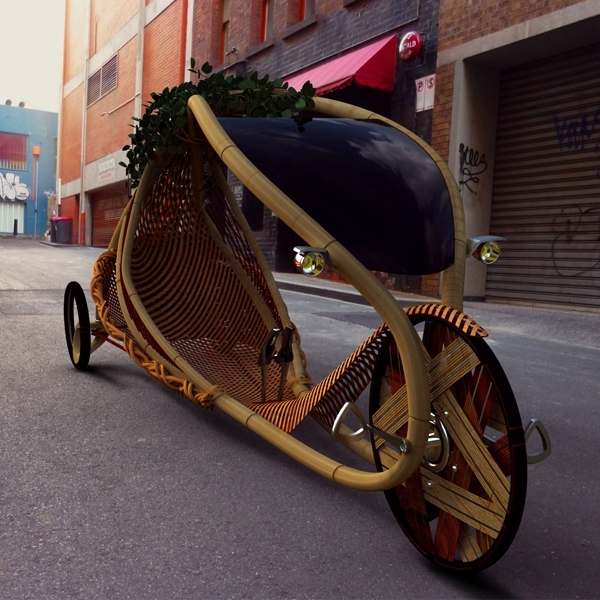 Learn more about the Bamboo Bike Project here. Watch the video below to see the prototype of the bamboo bike in action. Would you use a bamboo bicycle? Share your opinion with us in the comments section below.